SIBM, Pune organized the diversity inclusion workshop ‘Breaking the Glass Closet’ by Mingle and Godrej on Saturday 24th September 2016. LGBT diversity inclusion has become an important topic in recent years as it is becoming an asset for building corporate image and generating positive PR. The workshop highlighted the business impact of LGBT supportive policies and how building an inclusive workplace can benefit the organisation as well as touch points on what it means for an individual to be sensitised. The event was sponsored by Media Partners Youth Incorporated and Pink Pages India. The event commenced with a felicitation ceremony, followed by the interactive lecture, with ample time given for Q&A and discussion during the formal proceedings. 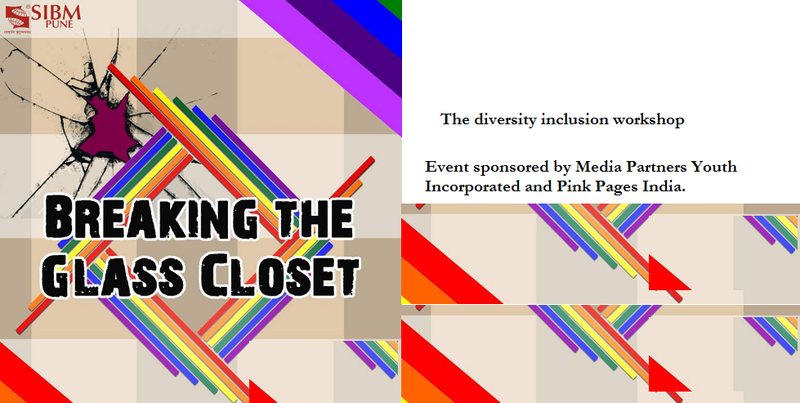 The diversity inclusion workshop ‘Breaking the Glass Closet’ 0 out of 5 based on 0 ratings. 0 user reviews.